Register for Women Build Weekend 2016! It’s the most wonderful time of the year… time for Women Build Weekend! 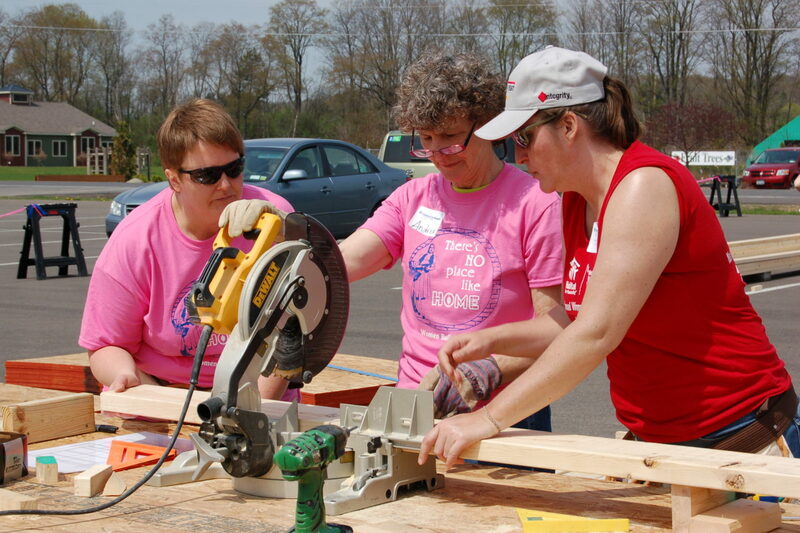 Register now for our 6th Annual Women Build Weekend event and join us for two days filled with construction training, volunteering, community building and fun. We’ve got snazzy t-shirts, great food, new friendships to form… and a set of wall panels to build (and, another custom-designed playhouse)! Grab your mom, daughter, sister, co-worker or friend and join us for a special Mother’s Day weekend event that you won’t soon forget. Spread the word and join us. Registration is just $20 and we encourage all participants to create a fundraising page and reach our $20,000 fundraising goal – together we can do it!